RV Maintenance Montgomery County: Does Your RV Need to Be Repaired? With the first day of summer officially behind us, you’re probably looking forward to packing your bags and hitting the road for a summer vacation. Whether you plan on traveling the country or doing some sightseeing here in Texas, it’s important to make sure that your RV is fully prepared to handle your trip. 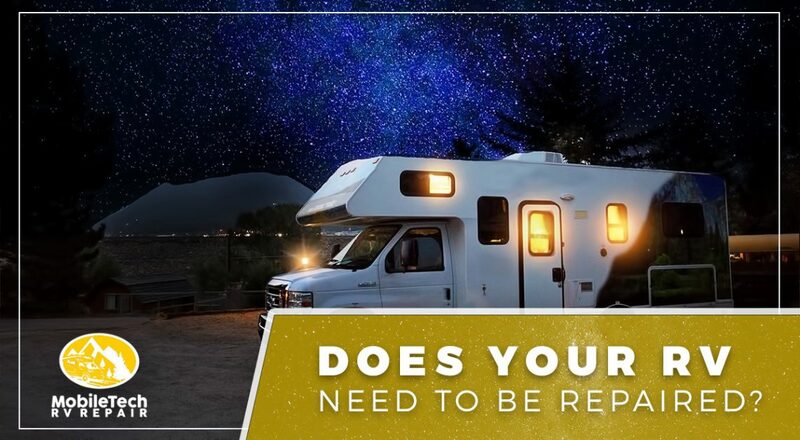 In today’s post, we’ll explain several different RV repairs that you might need in order to make it to your destination safely. MobileTech RV Repair is proud to be Houston’s go-to provider of RV repairs. With exceptional turnaround time and unparalleled customer service, we’ll help you get back on the road in no time at all. Contact us today to schedule an appointment! Your RV’s engine powers your entire trip, and it’s fairly common to have engine troubles as your RV ages or if it frequently travels long distances. Difficulty starting, strange noises, and smoke are all indications that something is wrong, and you should bring your vehicle in for RV repairs as soon as you notice any of these signs. RV engines are designed to be long-lasting, and the required repairs are often minor and inexpensive. The truly expensive RV repairs are often minor issues that have gone unaddressed and subsequently developed into catastrophic breakdowns. Your RV spends a great deal of time on the road, and it’s completely normal for your tires to wear down as the years go by. Whether you travel in your RV seasonally or throughout the year, you should always inspect your tires before you hit the road. A tire blowout on the highway has the potential to cause an accident, and the last thing you want to spend your vacation doing is dealing with injuries or insurance claims. 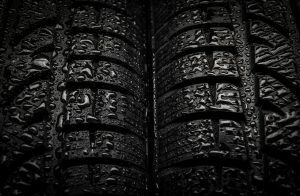 If your tires look worn or you have had the same set on your RV for a few trips, then you should bring your vehicle to us for an RV inspection. Electric appliances are one of the primary selling points of RVs, and it’s easy to understand why. As we noted in a previous post, being able to store and cook your own food can significantly reduce the costs of traveling, and having access to a TV can make long stretches of driving much more bearable for your passengers. Between coffee makers, phone chargers, laptops, and hair dryers, your electrical system might be in need of an inspection and service appointment. The technicians at MobileTech RV Repair can help you diagnose and fix any electrical problems with your RV, giving you the peace of mind you need on the road this summer. Stay tuned for future posts in which we’ll continue to provide you with ways that we can prepare you for a summer road trip. Whether you need a simple RV maintenance appointment or major RV repairs, we have the resources required to get you on the road as quickly as possible. Contact MobileTech RV Repair today to set up an appointment!